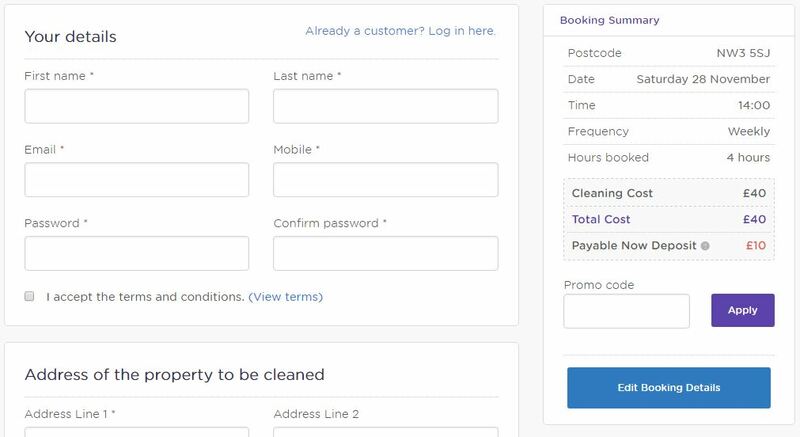 If you are a new customer with a promotional code, you can apply this during the booking process on the ‘Your Details’ section of the request. There is a field to enter the code on the right hand side below the Total Cost. If you are an existing customer we will add the promotional code for you. Please send us the promotional code via mail before the cleaning and we will get this added on for you.